Why wear a seat belt? The average person, driving the average car on the average trip is not going to be involved in a major crash. If that’s the case, seat belts are a useless intervention that merely provide extra revenue for car manufacturers, right? In fact, the average person, driving the average car is probably not going to get into a crash during the entire life of the car. If that’s the case, there’s no reason to put seat belts into every car when only a very small percentage will actually benefit from them. The majority of seat belts could be described as “unnecesseat belts,” right? And what’s up with air bags? The average driver, driving the average car on the average strip will not need both a seat belt AND an airbag. If you want to understand why all cars have airbags, follow the money: air bags are really expensive so car companies install air bags into every car to justify jacking up the price by hundreds of dollars. A woman should have complete autonomy over her body. If she wants to buy a car without unnecesseat belts and without airbags, that should be HER decision. She has the right to decide how she feels safest. And anyway, if her intuition tells her that she is likely to be in a car accident, she can always transfer to a fully equipped rental car for a specific trip. So educated women, who care about their quality of life, not just whether they live or die, don’t wear seat belts, right? Any woman with a grain of common sense in her head wears a seat belt EVERY time she gets in a car. Why? Because she knows that it is foolhardy to trust averages. Just because the average person, driving the average car on the average trip won’t need a seat belt in retrospect does not change the fact that tens of thousands of lives are saved each and every year by routine use of seat belts. Women who claim to “trust birth” are really trusting averages. It’s true that the average woman, carrying the average baby in the average position will have an uncomplicated labor and that any and all interventions can be deemed unnecessary in retrospect. But as in the case of seat belts, just because the average woman carrying the average baby in the average position won’t need those interventions does not change the fact that tens of thousands of lives are saved each and every year by the routine use of obstetric interventions. Trusting birth is no different from trusting driving. The vast majority of people who refuse routine use of seat belts will not die in a car accident, but that hardly makes their choice safe or sensible. Similarly, the vast majority of women who refuse the routine use of the interventions of modern obstetrics will not have their babies die as a results, but that hardly makes their choice safe or sensible. Most of us would be appalled if people took to referring to seat belts as “unnecesseat belts,” because we recognize that they are necessary, even if they are never needed. The same principle applies to the routine interventions of modern obstetrics. Anyone who understands the routine dangers of childbirth is appalled by those who refer to C-sections as “unecesareans,” because we recognize that they aren’t unnecessary even if they weren’t needed in retrospect. 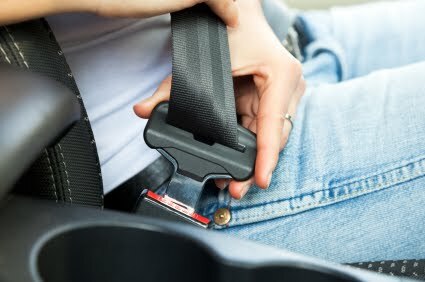 The routine use of modern obstetric interventions rests on the same principle as the routine use of seat belts. Both save tens of thousands of lives each and every year, NOT because everyone needs them, but because “trusting” that you are average is nothing more than a foolhardy, and sometime deadly, mistake.